CCKARE Bluetooth USB Adapter, Free Drive, Bluetooth 4.0 Adapter PC For Win 10,8,7, XP Support Headphones, Speakers, etc. View More In Bluetooth Network Adapters. - Connect Your Computer/laptop with Bluetooth enabled devices such as cellphones, mouse, printers, keyboards, headsets etc. 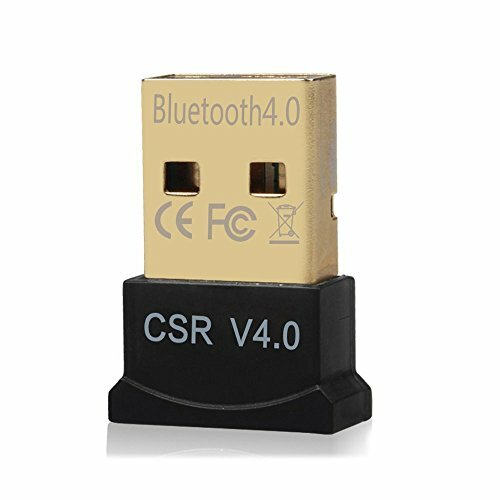 - Newest Bluetooth v 4.0 class 2, low energy technology, backwards compatible with Bluetooth 3.0 2.1 2.0 and 1.0 equipment. - Broadcom BCM20702 Bluetooth 4.0+EDR,Bluetooth low energy, Can work with 7 device at the same time. - Wireless range of up to 33ft/10m. System Support: Win98/Win2000/XP/Vista/Win7/Win8/Win10. If you have any questions about this product by CCKARE, contact us by completing and submitting the form below. If you are looking for a specif part number, please include it with your message.